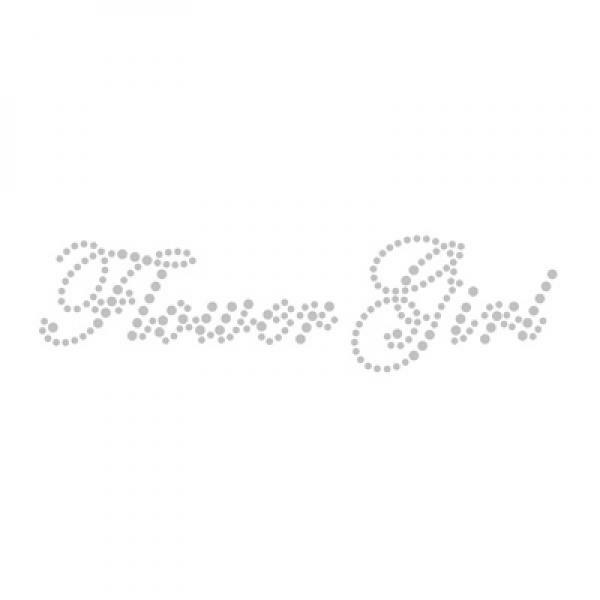 Black bridesmaid sash not flashing, hot print font. 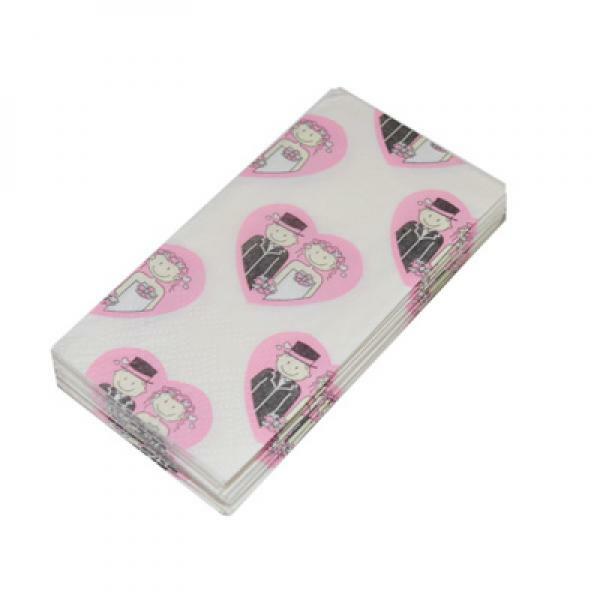 Wrapped pack of bridal tissues with brides and groom cartoon picture on them. 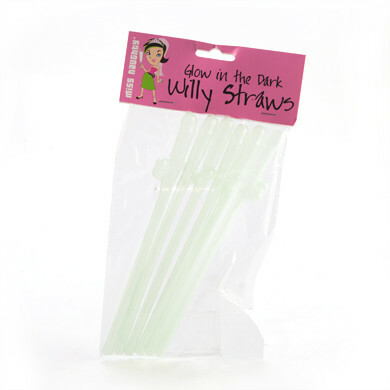 10 tissues per pack, great for the Mum’s when they tear up at the ceremony. 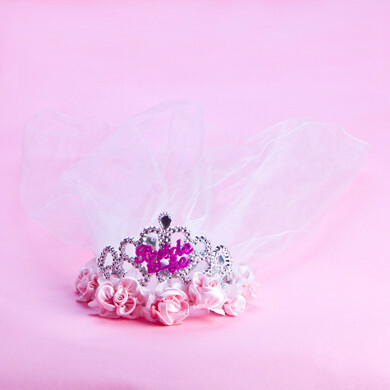 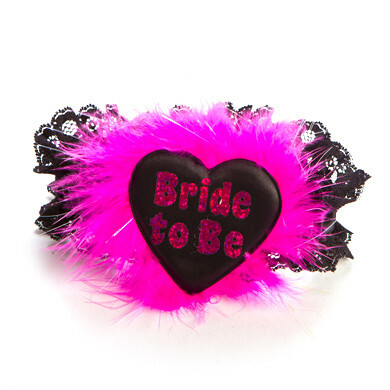 Head band/ boppers for the Bride to be to wear on her Hens night out. Flashing pink Bride to be sash with hot pink text. 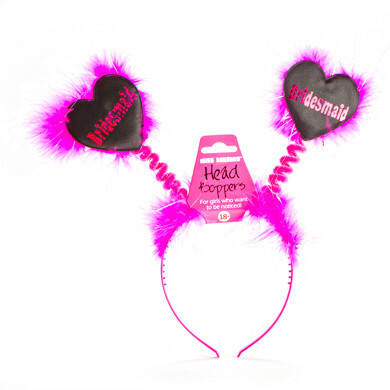 A bit of fun for the bridesmaids to wear on the night!! 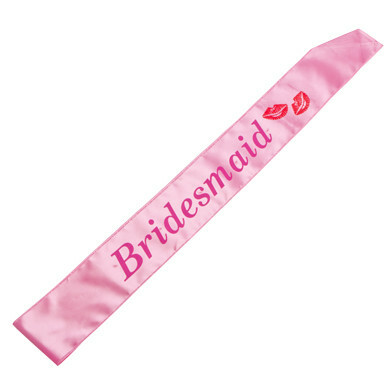 bridesmaid pink flashing sash with hot pink writing. 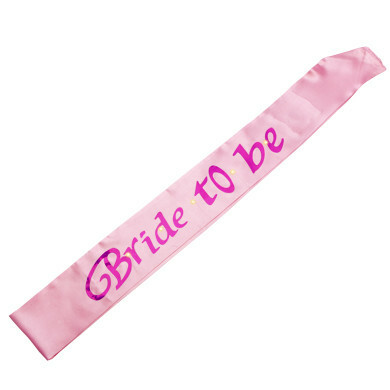 Tulle veil white with hot pink roses along front and flashing with bride to be. 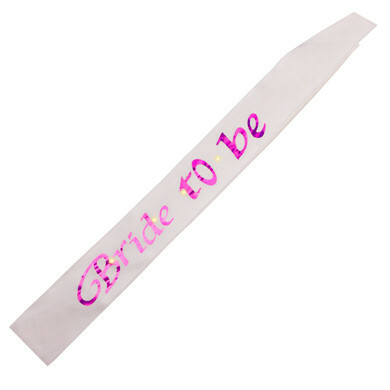 Looks great matched with flashing sash and flashing willy garter.